The Daur in Xinjiang are the descendants of a group of Daur troops who were sent from Manchuria in 1763. 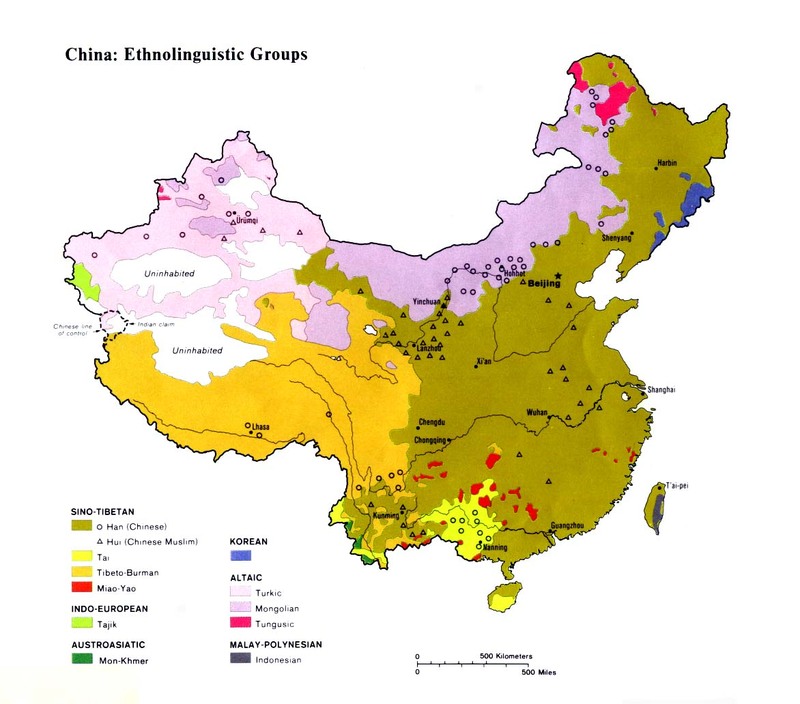 The Chinese include them under the Daur nationality, despite the fact that their customs are now markedly different from the Daur living on the opposite side of the country. 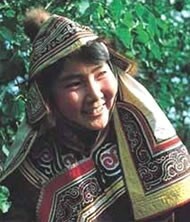 The Western Daur are related to the Daur in Heilongjiang Province, who came under Chinese control in 1698. During the Qing Dynasty (1644-1911) the Daur were called up for military service a total of 60 times. One assignment in 1763 took a group of Daur soldiers all the way across northern China to Xinjiang. After completing their service, the soldiers decided to stay in the northwest, rather than face the demanding two-year journey back to their homeland. On his wedding day, the groom sets off to fetch the bride the moment the sun rises. "As soon as the bride in her red wedding gown arrives in a car, firecrackers are let off ... and the bride's hair is combed with a part in the center. She wears gold, silver or jade earrings, bracelets and rings, and an embroidered tobacco pouch is attached to the front of her dress. She does this because it is the custom with the Daurs to offer each other a cigarette." Most Western Daur are polytheists, worshiping five Sky gods. "All humans and animals are believed to have a sumus, or spirit, which at the time of death, leaves the body and is presented to Irmu Khan, the lord of the underworld. He decides how each spirit will be reincarnated. Those whose owners have behaved best might become barkans (gods) while those with the worst record are condemned to perpetual hell." There has never been a known church among the Western Daur. 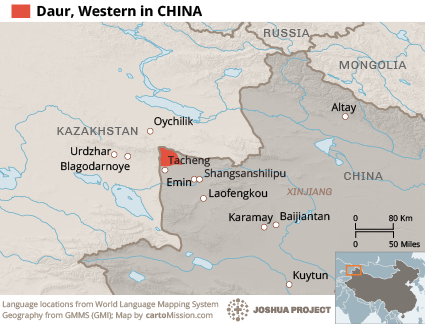 The recently established Daur church in northeast China, however, has a burden to reach their brothers in the northwest and were planning an evangelistic trip to Xinjiang in 1998. View Daur, Western in all countries. Location in Country: A total of 4,369 Western Daur were counted in the 1982 Chinese census. They live in the Gurbansher Daur Commune near the city of Tacheng, in the Ili Prefecture of northwest Xinjiang. The region has long been a crossroads for many peoples. In 1936 it was described as "a riot of color… whose community is an amazing mixture of tongues. Here in the winter, old-style Russians in gay troikas race to and fro from all-night parties; solemn processions of Mongol lamas parade through the streets on horse-back, and long-robed Chinese and Turki merchants shout and gesticulate in the crowded market places."